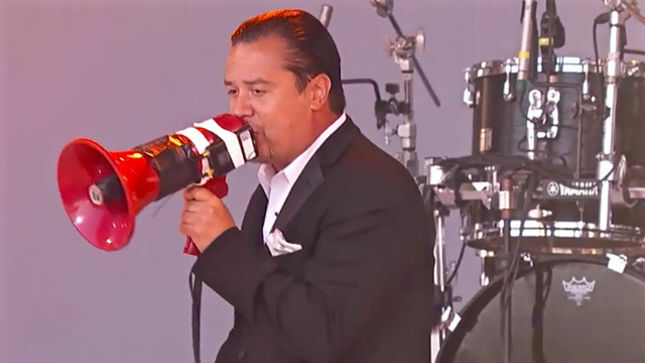 Faith No More was the musical guest on last night’s (September 3) episode of “Jimmy Kimmel Live!” They played several songs on an outdoor stage in front of a standing-room-only crowd. Faith No More’s new album “Sol Invictus” is the follow up to 1997’s “Album Of The Year” and sold around 31,000 copies during it’s first week of release (good enough to come in at No. 14 on The Billboard 200 chart).